Beautiful rich colors and made with quality. I’m very happy with this purchase and totally recommend it. You won’t be disappointed. 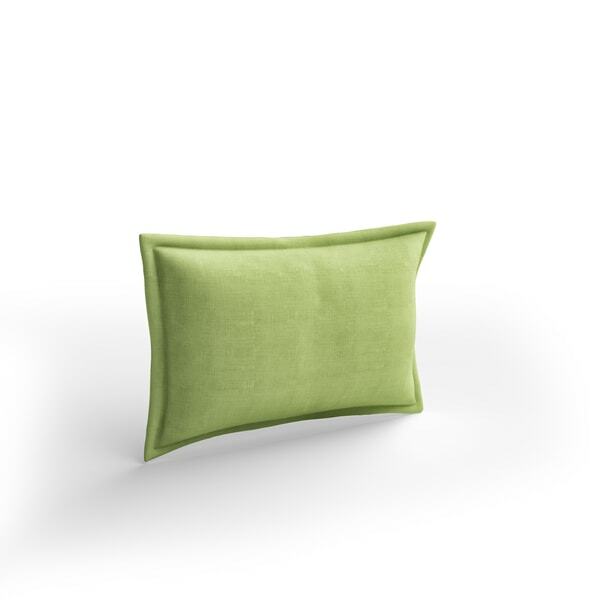 Soft, serene, and sophisticated, this pillow is ready to lend a touch of color to any space. Use it as an accent on your sofa or bed for some depth and dimension. Dimensions 13 in. H. x 19 in. W.
This pillow feels like a very high quality throw pillow you'd see in a fashion design center. The Navy color was true to the image, and the down fill adds to the quality feel. I'm so happy with this purchase that I'm considering adding some other sizes in other rooms. I needed a pop of color to go with my two small square pillows which had some grey and yellow in them on a white background, and this was perfect in yellow. This pillow is well stuffed, soft and perfect for the final touch to my bed. I really like the fact that the cover may be removed for cleaning. I am very pleased with this purchase. I needed this exact shade of green to accent my pillows in the living room. It is a perfect match. True to color. I have ordered about 5 pillows in the past and they are all exact to the color shown. They are colors you can never find in stores. So nice to sit at home and order and get exactly what you were looking for! DEE R.
Color, quality and price - this one is a winner! I love this green. The pillow os soft and well made. 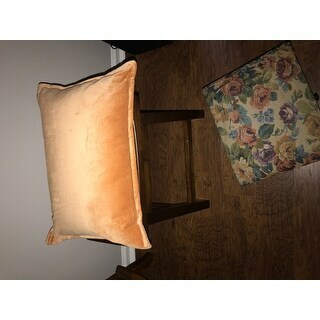 Great size to go in front of other pillows on the bed or to add different shapes to the pillows already on a couch. Beautiful pillow. Bought the orange and it is a perfect match for my decor! Well made and the fill is perfectly comfortable as well as sturdy! Love it, thanks Overstock! And got it on sale as well! I thought I was ordering a lime green pillow, so I was a bit disappointed when I got an olive green pillow, but actually, it matches my other things better anyway. Bought the gold to pair with the citronelle duvet set. It adds a little extra something to my bed. The size of the pillow is great and I love the plush fabric. Unfortunately these pillows are NEON yellow. They came with a packing slip from a company I never heard of. I was instructed to go to their website to initiate a return. Their webside was useless so I returned to overstock.com. Imagine my increasing displeasure to learn I could print out a return label and pay *** for it. The color is beautiful and it’s really well made. Gorgeous color! Super soft & comfy! Fantastic Titanium Gray color. 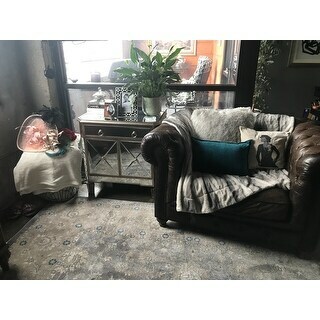 Goes beautifully with my Paris Glam Shag Rug in the same color. Very soft and well stuffed. Perfect size for my dual banqettes. It will match my bedspread hopely! It matches my bedroom set.